Fundraising for a health-related charity walk/run? Get sponsored by PatientsLikeMe! Looking for ideas for raising more money for an upcoming cancer walk, MS bike ride, or other health-related charity event where you’ll be hitting the streets? Learn more about PatientsLikeMeInMotion! It’s a program that sponsors you and your team as you walk, run, cycle (etc.) 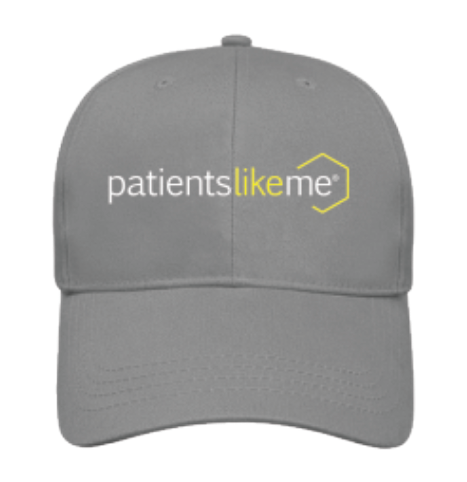 with a nonprofit organization to raise funds and awareness for your disease or health condition (psst—PatientsLikeMe gear included). Read on! PatientsLikeMeInMotion has grown a lot since we launched it back in 2009! Members have raised funds for cancer, multiple sclerosis, ALS, epilepsy, kidney disease, psoriasis, mental health and more (just take a peek at our Pinterest board). 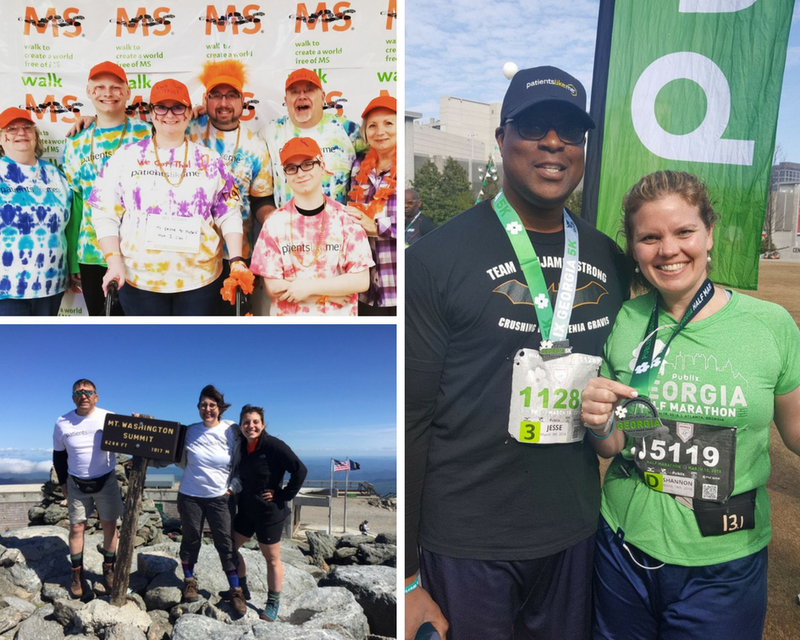 In 2017, 89 members and their teams (with a total of nearly 2,000 participants) raised awareness and over $14,000 for their diseases. In the first half of 2018, 73 members from 24 states and their teams have already participated and raised more than $18,000. Join PatientsLikeMe (membership is free)! Past participants, inspire others. If you’ve been a part of PatientsLikeMeInMotion, feel free to post a picture in the forum (and on social media along with the tag #MembersInMotion)! 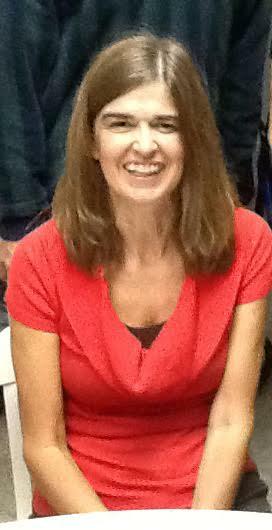 Lisa (Ltbeauti) was studying to become a teacher in Richmond, VA, when she was diagnosed with ALS—the same type that affected both her sister and father. After joining PatientslikeMe in 2008, Lisa has made it her mission to stay proactive about her health and, like any good teacher, offer support and share her experience with new members in the community. 1. Give us a glimpse of a regular day in your life. What are some challenges you face? What do you most enjoy? I need assistance with most things now. I am in a power wheelchair 95% of the day. I will occasionally transfer to a recliner with a lift seat on top the cushion. The biggest challenge I face is constantly changing strategies to remain as independent as possible as the progressing nature of this disease takes away my ability to do even simple tasks. I can no longer speak and I use an iPad with speech software to communicate. I really enjoy getting outside to be around some plants or flowers. I was an avid gardener before ALS, and even worked at a greenhouse for 3 years. 2. Can you describe how life has changed for you since your diagnosis in 2008? I was in the process of becoming a teacher while working and raising a family when in 2006 my voice sounded raspy and different. I was diagnosed at Duke as was my sister 2 years before. Our father had the same MND, probable ALS. Most genetic types of ALS account for only about 10% of all cases and ours is slow progressing Bulbar type. So ours is pretty rare. 3. What inspires you to keep a positive attitude? I think my faith helps me and the fact that most people with ALS don’t have a slow progressing form. I feel as if I have been given more time to advocate and spread awareness, so that’s what I do. I spend a lot of time in different forums, chat rooms, ALS Facebook groups and of course PatientsLikeMe trying to give and get advice. In the case of PatientsLikeMe, I can also get data I can use to make more informed decisions regarding my healthcare and wellbeing. 4. 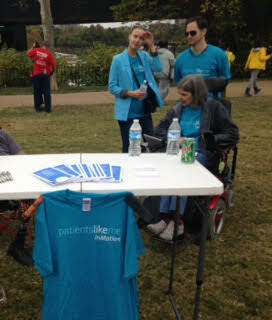 You were recently an InMotion participant in Richmond’s Walk to Defeat ALS in October. Tell us a little about this event. This yearly event raises money that goes to help local PALS (Person’s With ALS), like me with all sorts of stuff like equipment, support, technology, respite care and more. ALS can cost hundreds of thousands a year in the later stages and having access to equipment free of charge is one less worry we face. My local chapter has supplied me and others with a lot of equipment. 5. What has your experience been like on PatientsLikeMe? 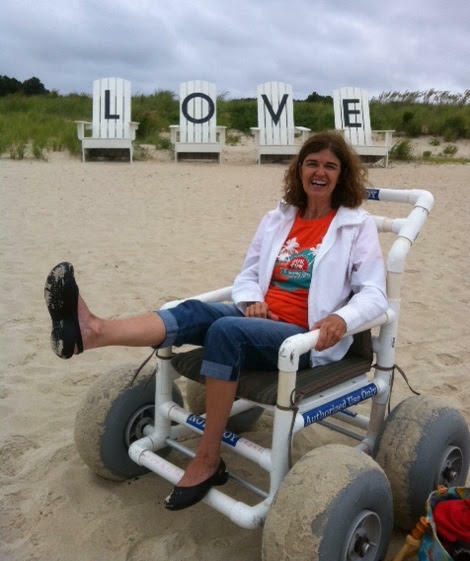 You recently posted in a forum about long-term ALS patients – what does it mean to you to be able to connect with people who are going through a similar time? Connecting with others for support, to learn I’m not alone, and the data tracking features are very important to me. As I said before, I belong to many ALS support groups and forums but none can compare to PatientsLikeMe. It’s such a novel concept where users can set parameters and track data while getting support and answers. I have a complete history going back to my diagnosis to show any doctor, of all sorts of things relating specifically to ALS. 6. If you could give one piece of advice to a newly diagnosed person, what would that advice be? Advice to newbies, prepare for the progressive nature of this disease by being proactive in your healthcare. Take advantage of your local ALS Chapter for equipment and support and reach out to others who have been where you are now. It’s amazing how beneficial it is to communicate with others going through similar circumstances.